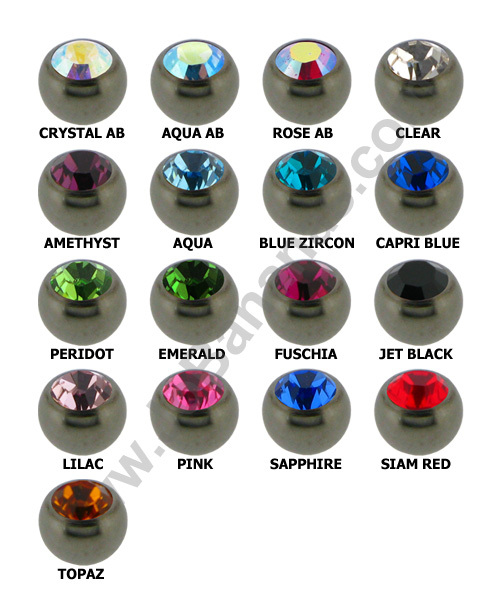 This is an internally threaded Titanium Belly Bar which means that the thread is on the ball which screws into a hole in the shaft of the jewellery, piercing jewelry with an internal thread is very popular because the entire shaft of the belly bar is smooth meaning that when it is pushed through the piercing it wont snag or get caught on the thread. The thread on the ball measures 1.2mm in thickness. The top ball measures 5mm and the bottom ball is 8mm. 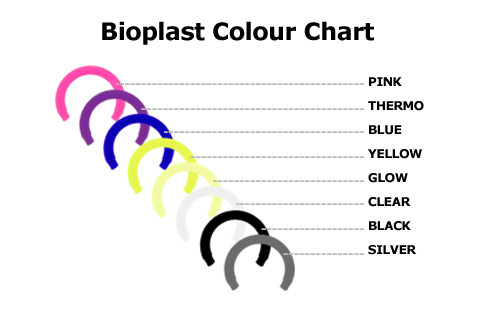 The Titanium is top quality Grade 23 or 6AL-4V ELi and is available in Highly Polished (Silver) or we can anodise (colour) this in the colour of your choice, please see our Colour chart for the available colour choices. 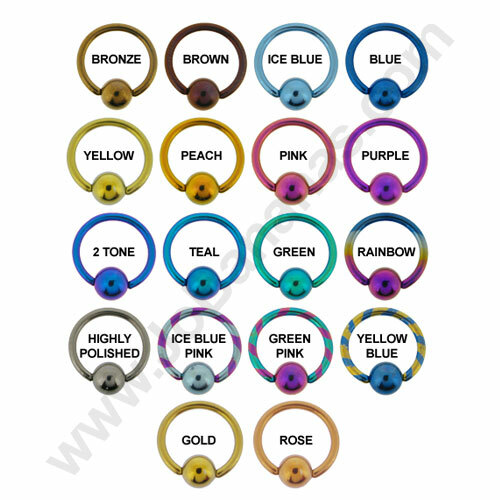 The belly bar is 1.6mm (14 gauge) in thickness and the internal measurement in a straight line between the 2 balls is either 10mm (3/8") or 12mm (1/2").